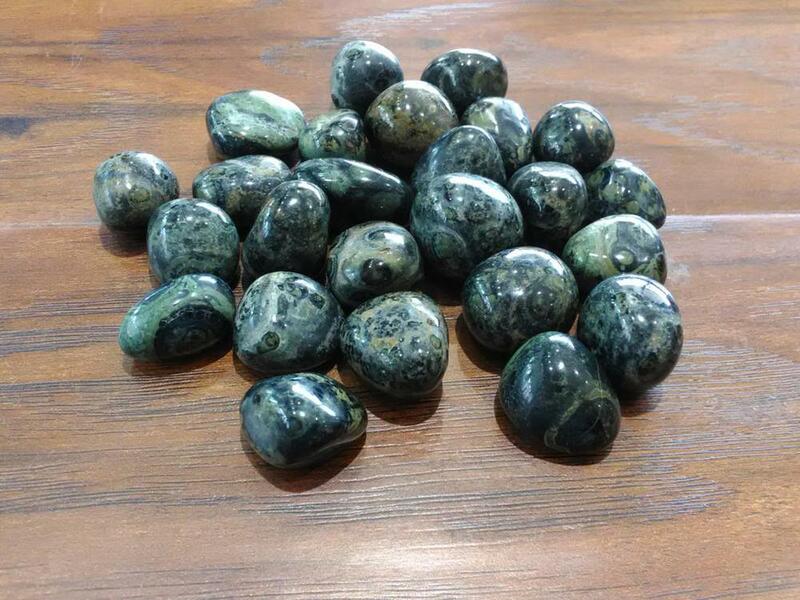 Kambaba Jasper is one of the more exotic Jaspers, a rare orbicular variety from Madagascar and South Africa.It is a sedimentary stone. Its comprised of microcrystalline Quartz interlaced with Stromatolites, ancient fossilized colonies created by cyanobacteria and other primeval microorganisms. Kambaba Jasper alleviates stress . Its cleansing effect eliminates negative energy and stabilizes the aura. Kambaba Jasper is particularly conducive to deep and peaceful sleep.